Stevenson, Jay. The Complete Idiot's Guide to Philosophy. 3. Indianapolis: Alpha Books, Penguin Group, 2005. Howard Jones, The Epicurean Tradition, Routledge, London 1989. ^ David Kostan. 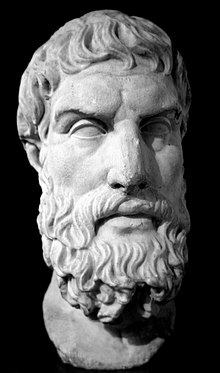 Epicurus. Stanford Encyclopedia of Philosophy. ^ Nathan Morgan. THE HIDDEN HISTORY OF GRECO-ROMAN VEGETARIANISM.